For the past two and half years, I’ve been fighting against the migration to e-books, which if you consider what I do for a living, may seem a little odd. But if you spend any length of time in my home (or in my car), you’ll notice that I’ve also railed against the movement to digital downloads for music (and movies) too. Before we get too deeply into the “why” of the matter, I think it’s important to note that I’m a repeat consumer of products. If I like something, such as a book or album, it stays with me and is re-read or re-listened to dozens (in the case of books) or hundreds (in the case of albums) of times. Part of that constant re-use comes from the fact that I read rather quickly, and it can be an expensive hobby to keep up with. I also have an eclectic taste in music which means inevitably, I always have at least a couple of dozen albums on my “want” list. 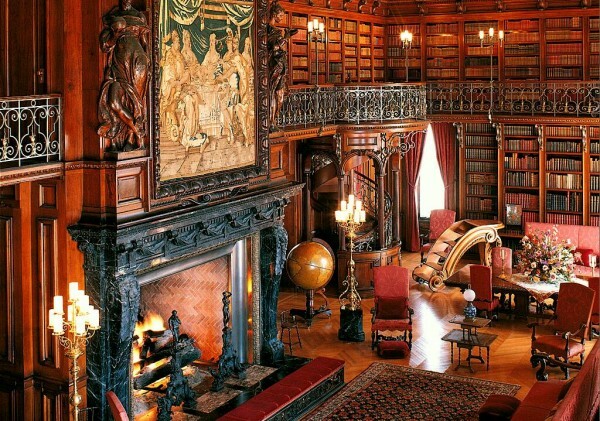 It’s amazing Chris puts up with me at all, considering he knows that if I had my way (and won the lottery), my personal collection would look a little bit more like the library from Beauty and the Beast (for you cats who dig fictional references) or the library at the Biltmore Estate (for you realists), and not the four bookshelves and dozen or more boxes we have in the garage…but I digress. One of the things I love most about curling up with a new book is that freshly inked, new paper smell. 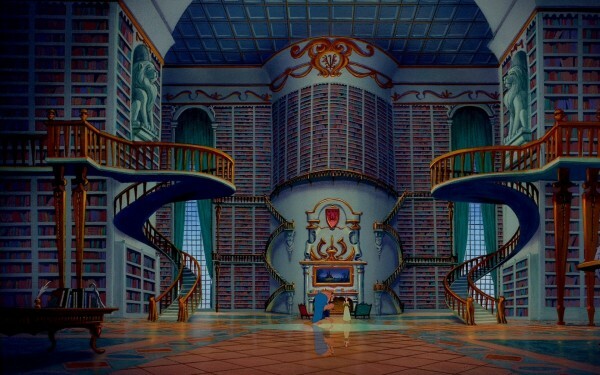 If you’re a bibliophile like me, you probably know exactly what I’m talking about. Each medium has a distinct smell and texture, be it paperback, graphic novel, hardback, magazine or newspaper – and I love each one for different reasons. Old books are even more satisfying to the senses – with their pages worn smooth and soft from numerous readings, an earthy smell just shy of being musty with pages beginning to turn slightly yellow from age. When I become engrossed in a good book, the rest of the world falls away, the words and lines of text disappear, and my imagination kicks in, converting written language into a movie reel in my mind’s eye. I lose track of time, the ability to focus on my physical surroundings (my hearing becomes especially stunted), and the speed of my “reading” cranks up. It’s not unusual for me to churn through 100+ pages in an hour when I’m enthralled. While that description probably makes it sound a lot worse than it actually is, because I do burn through books so quickly, it is stressful financially to keep up with my desire for new content. To help soothe the insatiable thirst for fresh stories, I reread books in my arsenal VERY frequently. In fact, it’s probably safe to say that I reread at least half of my entire inventory every year in addition to whatever new books/series I’ve managed to accumulate during the same timeframe. I don’t often think about my love of reading in such a pragmatic fashion, and I have to admit, this confession makes me sound a little OCD, but if I’m being 100% honest with myself (and you), while reading is something I’m passionate about, it could also easily be described as a compulsion. If I see something written (anywhere), I read it. Need an example? When I’m waiting in line at the grocery store, post office or wherever, I read every product label or magazine cover. It’s not necessarily a conscious decision or something I “want” to do. But I do it anyway. Another example: When I shower, I read the label for every product I use (even though at this point I’ve probably read the same information hundreds of times). It’s not that I’m really all that interested in what the manufacturer has to say (or need the directions), I just can’t seem to help myself. So I guess what I’m trying to say is that I just want you, the reader, to be clear that when I say hoarder, I don’t necessarily mean of books (although I would probably do that too if I could), but rather of words. So I’ve given you a pretty in-depth look into the paranoia I have about losing my stuff, which if you’re still with me (and I hope you are) means that we can finally get on with learning about why I decided to dip my toes in the water despite my better judgment. Here’s my shorter list of what happened (in just the last six months) to get me on the path of digital content. I’m a fan of Apple, and have been since I was an elementary student playing with KidPix and learning to type. I have a Macbook, an iPhone, and as of this Christmas, am now also the proud owner of an iPad. Why is this important? My prior issues with e-books have been admittedly mostly theoretical. After all, it wasn’t really practical to read books on my iPhone due to the tiny screen, so I had to argue against e-books on principle alone, rather than from firsthand experience. That doesn’t mean that my earlier trepidations weren’t valid; however, they weren’t exactly fair as I hadn’t (until VERY recently) tried reading books in a digital format. I’m a K-pop / J-pop fangirl. I’m a sucker for free. (I just didn’t realize how much of one until it was too late.) We were on our way to Seattle, and I’d already breezed through the book I brought for the adventure, and we were only half-way through our airport adventure. To pass the remainder of my time waiting to board the next flight (I didn’t want to open my only other book for the trip so soon), I began searching for free e-books via iTunes. Most of the books I uncovered were classics (which I’ve read quite a few times already), recipe books or risque books. I did find a couple of science fiction / fantasy novels that seemed like they could pass muster, and downloaded them for a rainy (re: desperate) day when I was suffering from the ennui of books I’ve read dozens of times before. Those random downloads were to be my undoing. I just didn’t know it yet. So now we’re into the heart of the matter. The actual experience of reading an e-book. On a tablet. Last week, I was suffering from a persistent case of the blahs and decided to browse through the books I’d downloaded on a whim all those weeks before (okay, so it was two weeks). I know they say you shouldn’t judge a book by its cover, but we all know that even though you shouldn’t, you always do. It was for that reason that of all the books I browsed through, I decided to open, “Prince of Wolves” and give it a go. BEST. MISTAKE. EVER. I started reading Prince of Wolves Wednesday night at 11:30, just to give my mind a little bit of distraction from fretting over the usual everyday life stuff. (Or that was the plan at least.) As it turns out, I was incapable of putting the book down until I’d finished it, some three and half hours later. (Let’s do the time warp again!) I had no sooner finished the book, before I knew that I’d be buying the next book in the series (They successfully lured me in with that “free” first book.) Thursday night, I rushed home after work, ate dinner, had the briefest chat I could with the hubs while still being polite, then purchased the second book, and ran off to the bedroom to read it in peace (two dogs and four cats can be pretty demanding of you when they realize you’re ignoring them to look at some square object that glows). Again, I couldn’t put the book down. I finished it that evening, and then immediately (even though it was 1 a.m.) downloaded the remaining three books in the series. You can probably guess how the remainder of the story goes. Despite my earlier (and lengthly) protests about e-books, I managed to tear through five of them in five days (a record even for my voracious reading habits). Quinn Loftis is a talented writer, and if you’re into young adult fiction featuring the paranormal, you should DEFINITELY check her out. The series that held me so enthralled is called the Grey Wolves series, and if you like werewolves (and a little bit of teen angst and romance), it’s likely to be right up your alley. While reading the books, the device itself didn’t detract from the experience like I was afraid that it would. I found myself reading just as fast (if not faster) than I usually do, and once I got the hang of “turning” pages, I was transported back to the movie inside my head. I’m not a “it’s one or the other” kind of girl. I don’t like to mix-and-match mediums, so it’s likely that moving forward, I’ll continue to collect books for series that I haven’t yet completed. However, for new series moving forward, I’m open to (and excited by) the prospect of collecting new series via e-book. I’m glad that I finally gave e-books a fighting chance, and am pretty surprised at the conclusions drawn from my experiences. I was fairly certain that “real” books would win the day, but the convenience, variety and easy storage of e-books made them pretty hard to ignore. If you’re interested in learning more about the series that so helped alter my perceptions (and misconceptions), stay tuned! I’ll be posting a review on my site later this week. In the meantime, I’d love to hear your thoughts about the books vs. e-books argument in the comments below! 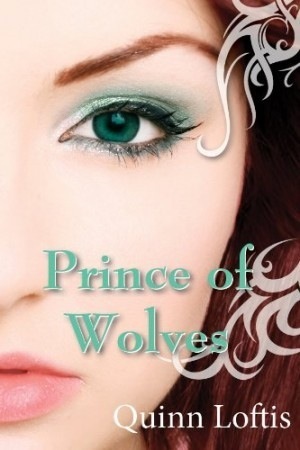 My review of Prince of Wolves is now up! I fought e-books for years as well, and my home is still filled to the brim with the books I’ve loved and collected, read and re-read for many years. However, a couple years ago now I picked up a Nook when I knew I was going to be doing a lot of traveling. I was getting tired of always toting four or five books on every trip I went on, and god forbid I should finish them and be without reading material. What started out as something that I thought I would use only for travel very quickly became something that I used all the time. As much as I love browsing the stacks for a new book, I don’t often have the time. Here was the solution for finishing one book in a series at 11 p.m. and instantly being able to start the next! I’ll admit I don’t like reading on my tablet – the back light, even when muted completely, is still too bright for me, so I suspect I’ll always want a dedicated e-reader. If anything, an e-reader has increased the already enormous time I spend buried in books. It now keeps time on my nightstand, right in the midst of the stack of “real” books I’m reading as well. I think eventually a love of literature finds a way for e-books and traditional books to live harmoniously. After all, it’s just one more way to experience a story, isn’t it? Jessica – thanks for sharing your thoughts! I’m definitely of a similar mindset (or at least I am now) and can easily see my tablet sharing a place of honor amid all the books I’ve included in my nightstand queue. At the end of the day, you’re absolutely right – as long as you can still enjoy the story, medium doesn’t matter much at all. I just wish it hadn’t taken me so long to explore the possibility. Now I’m going to have to make up for lost time!